It’s spring/summer time and its time for some drink and sun. So where can you get both in Atlanta? Rooftop Bars! Definitely, a fun place to hang out, at least until it’s too hot for your comfort. 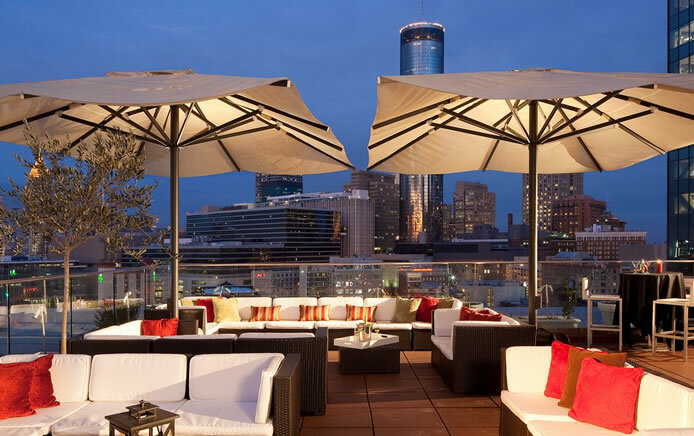 Here are 13 Rooftop Bars to check out in Atlanta. While there are two locations in the Atlanta area, I would highly recommend the one in Grant Park. Not only do they have great house special drinks, but they also have surprising good seafood and other deep-fried treats. 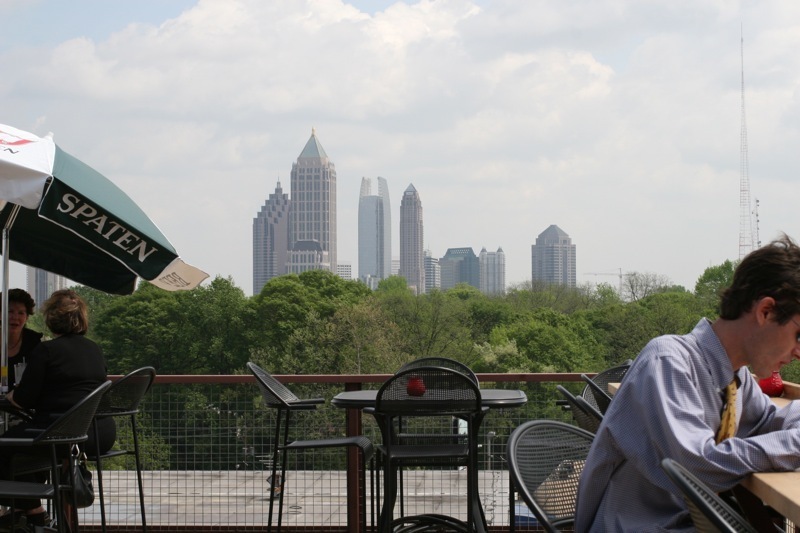 This is one of the premier spots for rooftop drinking in Atlanta. 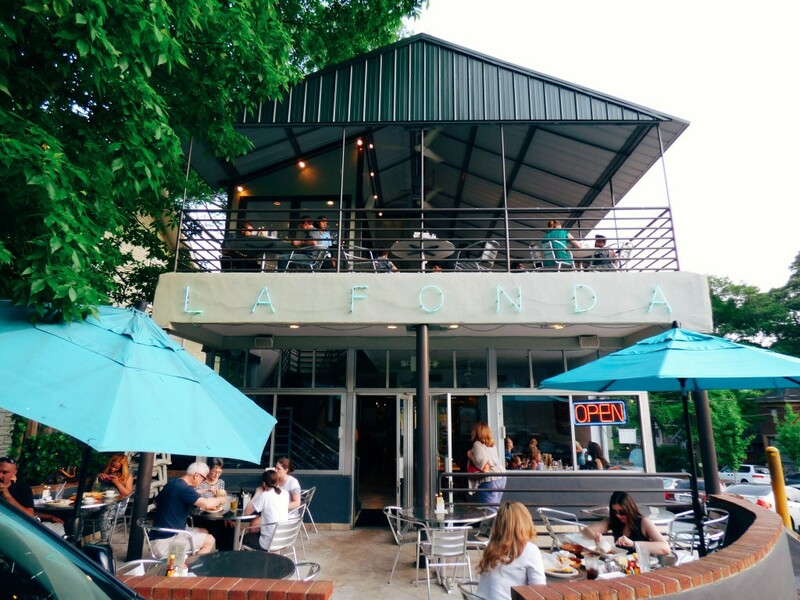 The location is great, right off the beltline, and a short walk from Ponce city and private markets. The New Realm rooftop is so nice around sunset. This is probably one of my favorite sushi spots in Atlanta. The sushi is super fresh, they have really interesting and unique specialty rolls and their rooftop view is one of a kind. The Roof isn’t open quite yet but when it opens it will give other rooftops a run for their money. 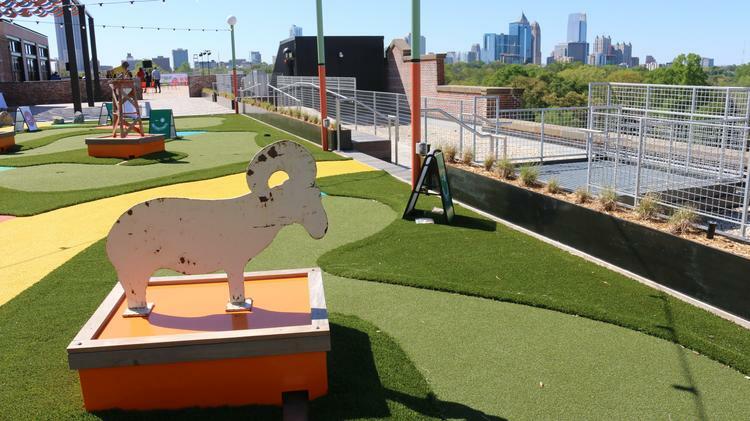 The view is exceptional as you can see above, The Roof will feature a carnival games, a beer garden and more. One of the best burgers in Atlanta! 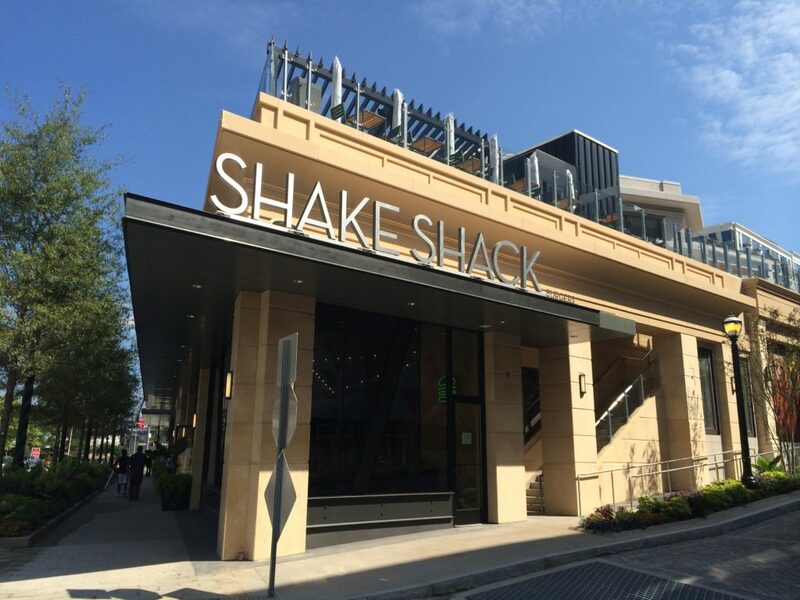 Pretty solid view at Shake Shack, you will have the opportunity to gaze across Peachtree to see what’s new in the neighborhood. 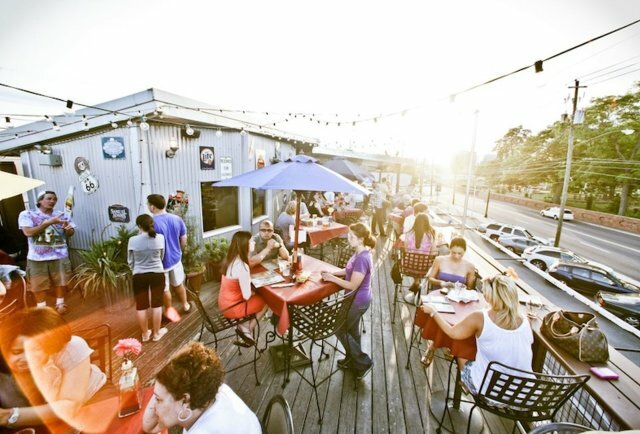 If the weather is nice and the rooftop is open, take advantage! Republic stands out mainly because of their daily specials (.45 Cent Wings Mondays, Taco Tuesdays). Definitely one of the hipster places in the Grant Park area. If you’re a fan of Mimosas or Mary’s, check out when they have their $13.95 Bottomless on the weekends. On the weekends, definitely expect to see a DJ there, usually a rotation of them every other weekends or so. Also, check out their brunch menu on the weekends as well! Definitely one of the more comfortable rooftops to visit. Covered enough to keep you from the pollen and radiating sunlight and open enough to keep the open air flowing through. Amazing Mexican food and a very casual feel to the restaurant will have you coming back to try all their different entrees. 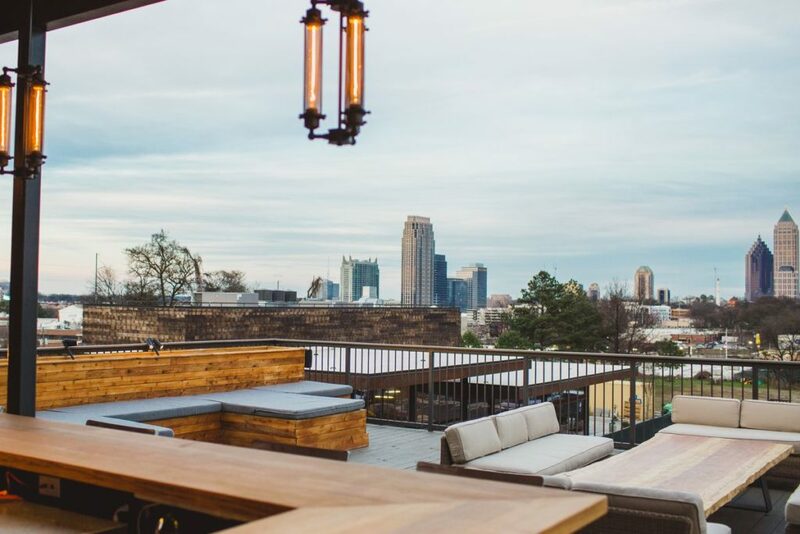 If you’re looking for the ultimate rooftop experience, you have to try out WETBAR. 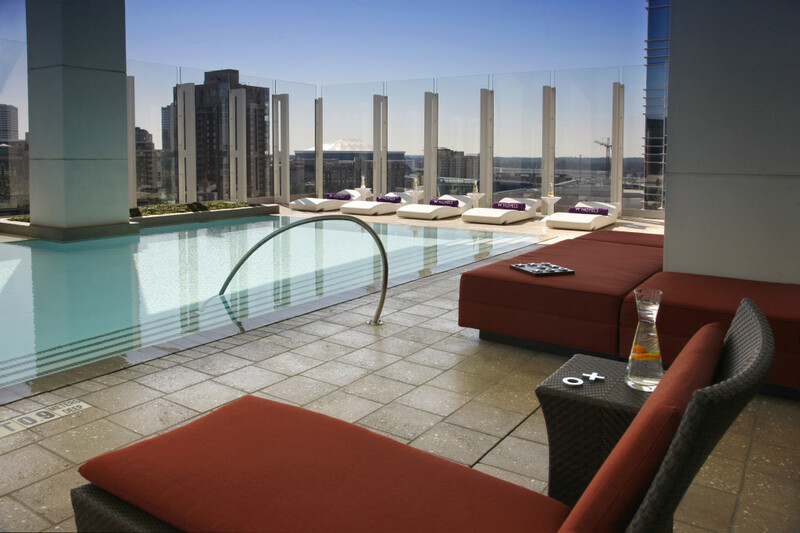 For this rooftop bar, you definitely should bring you swimsuit for this place as it has a pool, stocked with the best alcohol you can find, great music and DJ. If you’re a weekender, you have to get there early because it fills up quick. Epiphany Martini with Grey Goose La Poire or a St. Germain elderflower liqueur with a tiny splash of Veuve Clicquot Champagne are some great drinks to try out there. 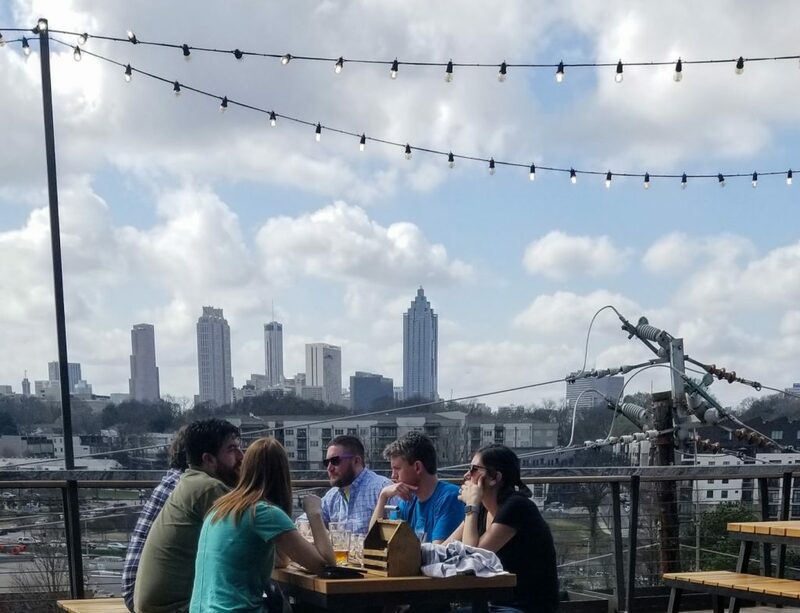 9 mile station would be one of the best rooftop restaurants in Atlanta for its​ views and the fact that you can hop on over from Skyline Park right next to it after a date night/arcade games night with friends! Looking for a good margarita, then check out this great cantina. Ranging from all sorts of flavors such as watermelon, lime, and all other sorts of flavors. This spot will give you numerous reasons to not get your food to-go. Tin Lizzy’s describes their food as Flex-Mex, which is similar to Tex-Mex but more flair. 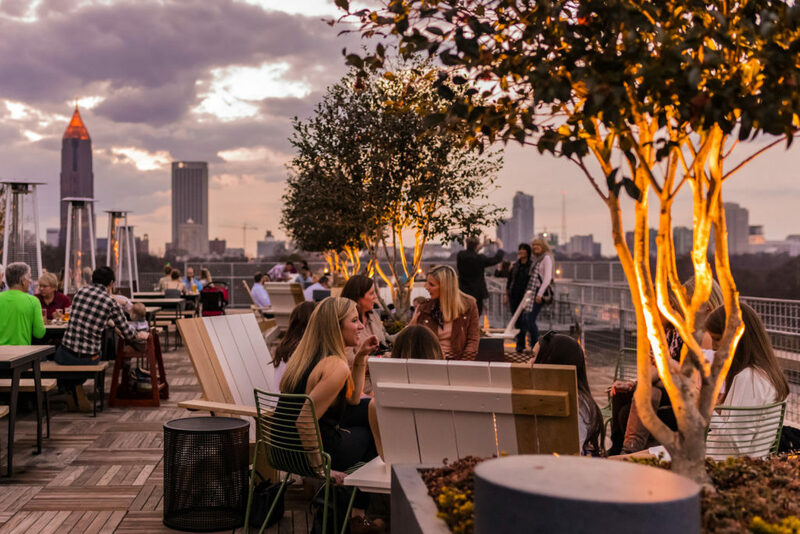 If you’re looking for a sophisticated rooftop bar to go have a few drinks at, then head over to the Glenn Hotel. Located close to the CNN Headquarter, it is one of the popular places in Atlanta during the summer. 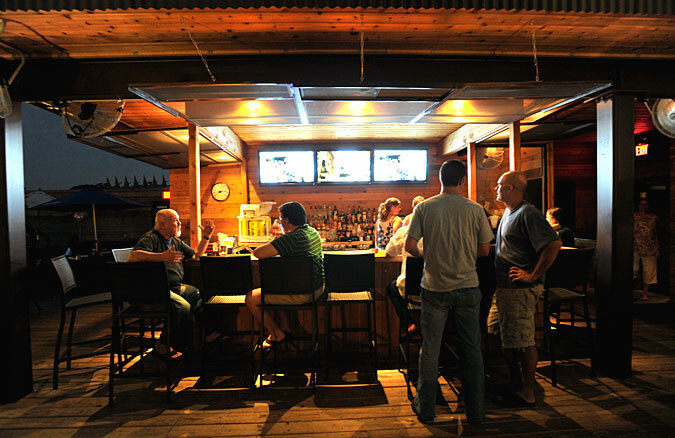 One of the chill places, on occasional nights, there is a DJ that entertains the crowd there. “Like” us on Facebook PLEASE!